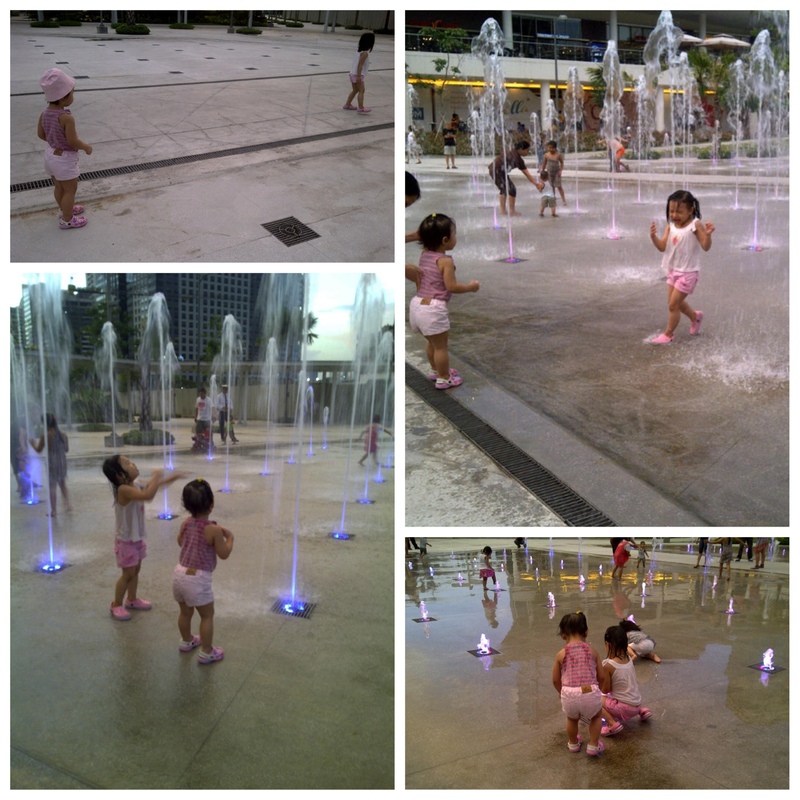 We decided to try out the water fountain in front of jamba juice at Bonifacio Hi-Street. This was something new for the kids. Just seeing water fountains makes them happy, so what more if they can go and get wet!?? Let me tell you, they had a blast! We arrived the fountain area before 6pm and there wasn’t any water! Apparently, it starts at 6pm. Whew! i thought we went all the way there for nothing! The fountain area is huge so a lot of kids can play and run around. Just make sure they don’t wear slippery shoes or slippers as it can be very dangerous. After playing in the water, the kids will definitely get hungry! There are a lot of restaurants around to choose from. And the good thing is, we didin’t have to go all the way to singapore to experience this type of water fountain.